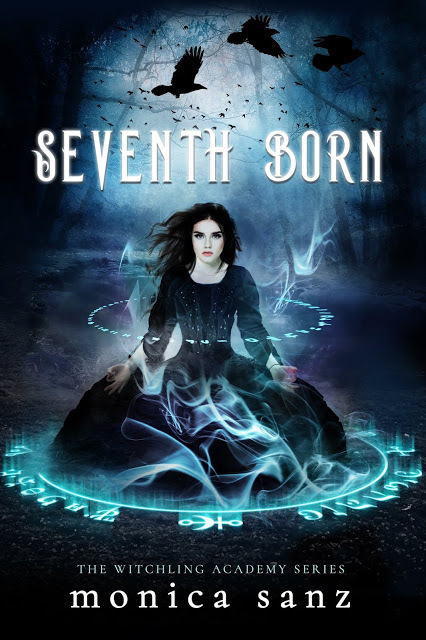 Welcome to the blog tour for Seventh Born by Monica Sanz! Along the way, you’re going to find teasers, excerpts, reviews and more! So be sure to follow the tour to catch all of these posts. I have a guest post for you today, in which Monica shares her favorite soundtracks for writing. I know which music I like to listen to when I’m writing. How does your own favorite playlist compare to hers? Also remember to enter the giveaway below! Music is pretty synonymous with writing for me. The first thing I do when a story comes to me is start a playlist that fits the mood of the book and its characters and whatever scenes have presented themselves. Film scores are preferable since anything with lyrics is distracting, so here are my Top 10 Soundtracks (or individual song from a soundtrack) for Writing! This soundtrack is one of the most beautiful, poignant, heartbreaking, and magical albums I’ve ever listened to. The movie itself was equally sublime, and a huge part of what made it so haunting and gorgeous was the music and how present it was in every scene. It was actually the soundtrack that led me to the movie, and it totally heightened the movie watching experience. Jane Eyre is one of my favorite books ever. Aside from devouring the book, I’ve watched practically every adaptation and will pick up a retelling in a heartbeat. So, when it was announced that a movie was being made starring Mia Wasikowska and Michael Fassbender, I fangirled my heart out. But nothing could have prepared me for the soundtrack. Highlighted by the use of a single violin, every song captures Jane’s pain and frustrations and love and her quiet strength. The gothic nature of the work is also present in each song. My favorite song on the album is Awaken. It is, to me, a perfect song that takes you through a vast number of emotions, so it’s the ideal song for heart wrenching and emotional scenes. The Pan’s Labyrinth is a masterpiece of a film, and the soundtrack is just as magical and ethereal as the movie. This is one of the first soundtracks I ever purchased when I was younger because after watching the movie, I wasn’t yet ready to let it go. I loved its dark fairytale nature and the music was a way to relive the experience. All of the songs are amazing, but the lullabies are especially haunting and the use of a chorus to deepen that magic and pain is so effective, it feels as if you’re wading through the movie again when listening to it. I’m not sure if this film was big or not, but I absolutely loved it. The soundtrack is what put it over the top for me. I remember watching the movie and the second it was over, I purchased the soundtrack. It’s as fantastical and dark as the film, but has moments of hope and love and desperation. It’s definitely great music for fantasy or paranormal stories, but that might be because that’s all I write. When I wrote my book Finvarra’s Circus, a few people mentioned that I would probably love Howl’s Moving Castle…and they were right. As soon as I was done reading the book, I devoured the movie, and naturally the soundtrack as well. The music is whimsical throughout, though takes you on Sophie and Howl’s emotional journey in the film. One of my favorite songs is Heartbeat, which is actually from my favorite scene in the movie and sadly the shortest song on the entire soundtrack at only 21 seconds. But imagine how gorgeous and tender those 21 seconds are—and that scene! It’s impossible to watch it and not swoon. This is the song that plays during the funeral scene for one of the characters who I won’t name in case someone hasn’t seen the movie yet. The scene itself is excruciatingly heartbreaking and high on the list as one of my favorite scenes in a movie ever. It’s visually powerful but the music is what makes it hurt. This song is a go-to for when I need a scene to be extra painful or for when my characters are going through something that borderline destroys them. It’s that touching of a song. I’d never heard of this movie until one day I found it while scrolling through Netflix. When this song came on during one of the scenes, my husband looked over to me and said, “You’re going to download this song, aren’t you?” Yes, reader. My husband knows me that well. What I love about this song is how it builds the tension slowly and then gets going. It’s the perfect song for a scene where something important is being revealed or a character is snooping around somewhere and feel their heartbeat in their throat. The movie is pretty good too! While this isn’t a movie, I had to include it in the list since I’m constantly writing to this soundtrack while working on the WITCHLING series. I love that I can start at song one and let the album play as I write and not run into one song I don’t like. My absolute favorite song on the album is Addicted to a Certain Lifestyle. This is one of my go-to songs for writing a fight scene. It starts off slow but when it picks up, it’s so intense! I think of fight scenes like dancing, and so when I write them, I need music to match the movements and for it to have a rhythm. Mind you, I don’t like writing fight scenes AT ALL, but when paired with good music, it makes the task a bit easier. The entire soundtrack is fantastic, but I always find myself listening to this song on loop. There is something so sad about it so it really helps me tap into a character’s emotions during those scenes of crushing disappointment and pain. What are your favorite soundtracks to write to or just listen to? Let me know below! Abomination. Curse.Murderer. 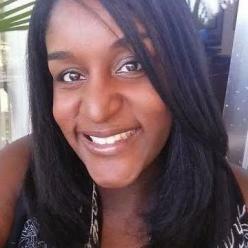 All names hurled at eighteen-year-old Seraphina Dovetail. As the seventh-born daughter to a witch, she’s the cause of her mother losing her powers and, in turn, her life. Abandoned as a child, Sera dreams of becoming an inspector and finding her family. To do that, she must be referred into the Advanced Studies Program at the Aetherium’sWitchling Academy. Her birth order, quick temper, and tendency to set things on fire, however, have left her an outcast with failing marks…and just what Professor Nikolai Barrington is looking for. Next Next post: Jewelry Candles Fall #Giveaway Ends 9/15 ~ 3 winners!